The 2018 “Brasada Round Up” (Men’s Member Guest Golf Tournament) was a tremendous success with over 35 teams competing for the prize of winning each of their respective flights and ultimately, determining the overall Champion of the Brasada Round Up. After the practice round and a few libations on Friday things really kicked off on Saturday with three 9 hole matches throughout the day. 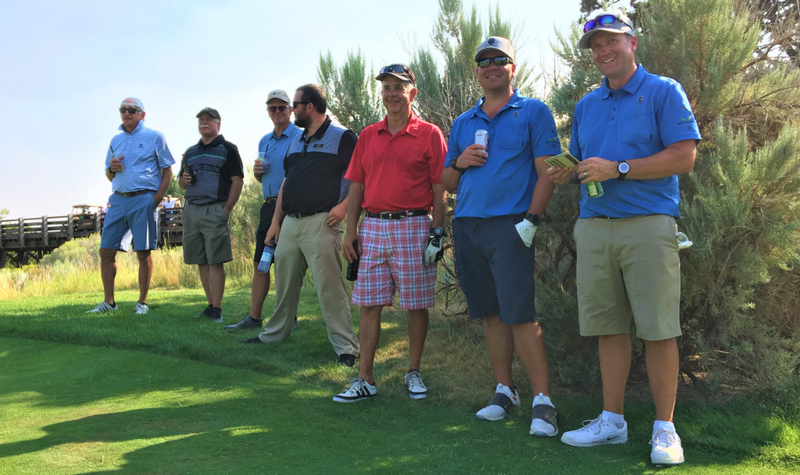 Following a long but enjoyable day of golf each Member and their guest were treated to a catered party on the practice range that represented the Central Oregon lifestyle to its finest. In addition to three unique dining experiences on the range there were various games, such as a long drive competition, that was well received by all. The Brasada Round Up concluded on Sunday with a “horserace” to determine the eventual overall champion which, of course, came right down to the wire! Sunday evening concluded with an awards dinner and gala as the participants danced the night away to the music of Precious Byrd.